This is the extraordinary moment a photographer captured bolts of lightning striking not one, but two Chicago landmarks at the same time. 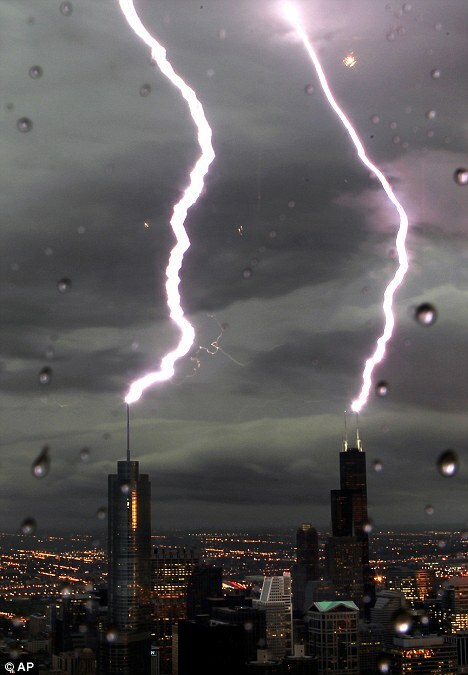 Electricity rushed down the lightning rods atop the The Willis Tower and the Trump Tower at the exact same instant last night. Seen through the rain from the Hancock Tower, the strikes lit up the sky around. jillstanek.com has video of THREE!